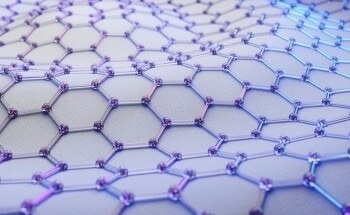 Why are Gold Nanoparticles of So Much Interest? There has been a great interest in uniformly dispersed suspensions of colloidal gold or nanoparticles right from ancient times. Colloidal gold was initially used in stained glass, potions and other artistic expressions. 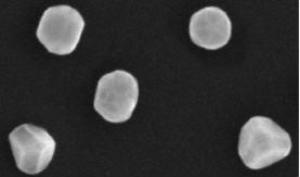 Presently researchers are studying gold nanoparticle dispersions and one needs to note that control of morphology and size of particles is highly critical. The National Institute of Standards and Technology (NIST) has developed reference materials (RMs) of gold nanoparticles that are around 10, 30, and 60 nm. This application note discusses a technique and shows results from a study analyzing the NIST RM samples. Colloidal gold or "nanogold", as it is commonly called is a colloid or suspension of sub-micron particles of gold in a liquid such as water. The liquid is normally either an intense red color for particle sizes below 100 nm as shown in the figure, or a dirty yellow color for larger particles. Why are Gold Nanoparticles of So Much Interest ? As gold nanoparticles have distinct electronic, optical and molecular-recognition characteristics, they are being researched substantially and can be used for different applications such as electronics, nanotechnology, and for synthesising innovative materials having unique properties. Chloroauric acid (H[AuCl4]) is reduced in a liquid to form gold nanoparticles though there are more accurate and sophisticated methods available. H[AuCl4] is dissolved, a reducing agent is added and the solution is rapidly mixed. This results in Au3+ ions being reduced to neutral gold atoms. As a large number of these gold atoms form, the solution becomes supersaturated, and gold slowly begins precipitating to sub-nanometer particles. The remaining gold atoms stick to the existing particles, and when the solution is mixed very vigorously, the particles will be uniform in size. In order to prevent aggregation of the particles, some sort of stabilizing agent that sticks to the nanoparticle surface is added. They can be functionalized with several organic ligands to create organic-inorganic hybrids with advanced functionality. 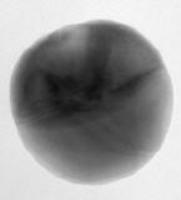 The NIST Reference Material (RM) samples are suspensions of gold particles in the range of 10 to 60 nm. The sample may be called as colloidal gold or nanoparticles. A colloidal suspension may be defined as any dispersed and continuous two phase system where the dispersed phase exists at a length scale from 1 nm – 1 µm. 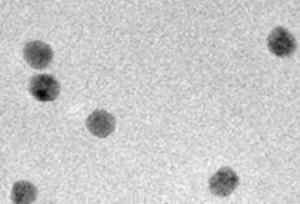 Nanoparticles are now defined at a length scale of 1 to 100 nm. Hence, the NIST RM samples 8011, 8012, and 8013 are both colloids and nanoparticles and both terms are used in this document. Three NIST Reference Materials (RMs), 8011, 8012, & 8013 were analyzed for this study. The RMs were created primarily for evaluating and qualifying instrument performance and/or methodology linked to the physical/dimensional characterization of nanoscale particles often used in pre-clinical biomedical research. The RMs are also be useful for developing and evaluating in vitro assays and interlaboratory test comparisons. Each sample consists of approximately 5 mL of citrate stabilized gold nanoparticles in an aqueous suspension in hermetically sealed prescored glass ampoules sterilized by gamma irradiation. The suspension contains primary particles (monomers) and a small percentage of clusters of monomers. The 8011 sample is nominally 10 nm, the 8012 sample is 30 nm, and 8013 sample is 60 nm. The reference values provided on the Report of Investigation supplied with each sample are an ideal estimate of the true value provided by NIST where all suspected or known sources of bias have not been fully investigated by NIST. The reference values and images by SEM and TEM for samples 8011, 8012, and 8013 are shown in the Table 1 and Figures 1, 2 and 3. The results from these measurements are shown in Tables 4-6 and typical graphs shown in Figures 5-7. The HORIBA results for samples 1 and 2 (in table 2) are reported in Intensity mean (Z average) and polydispersity index (PDI). ASTM results from an ASTM interlaboratory study where 13 labs measured the same NIST RMs are also provided. 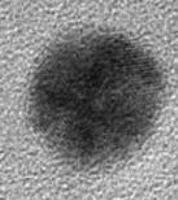 Gold nanoparticles are of great interest for researchers in many fields. 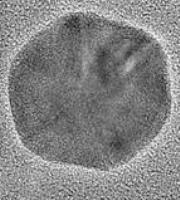 The size distribution of the particles is an important physical characteristic that influences particle behavior. 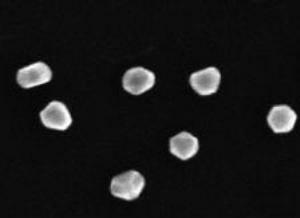 The most common technique to measure the size of gold nanoparticles is DLS. 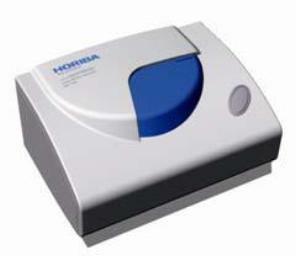 The HORIBA SZ-100 system has proven to be a great choice for precise and reproducible particle size analysis of gold nanoparticles. This information has been sourced, reviewed and adapted from materials provided by Horiba. For more information on this source, please visit Horiba. You refer in your important article that the size distribution of the particles is an important physical characteristic that influences particle behavior. My question whether or not the size increase or decrease distribution in a gold bar affect its total gold percentage ?